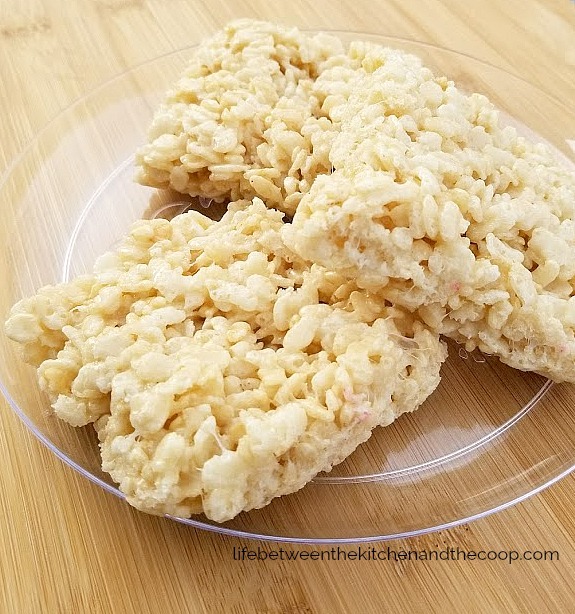 With so many delicious recipes for Rice Krispie Treats out there, you might wonder what makes this one so “perfect”. Well, I’ll tell ya. 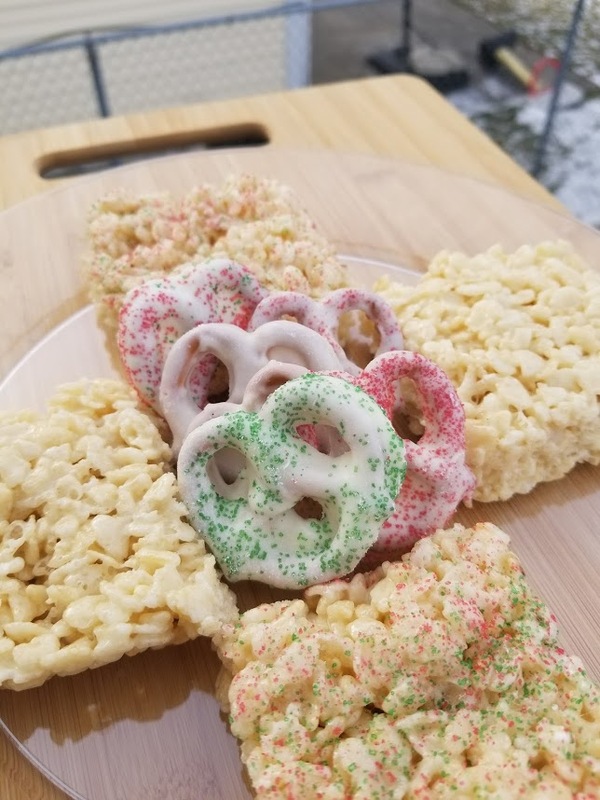 I have certain standards when it comes to rice krispie treats. I don’t like them dry and crispy. I don’t love the flavor of the store bought ones. I like them to be a little gooey, but not so gooey that you end up with it all over your hands. I don’t like a lot of extra stuff on them or in them. 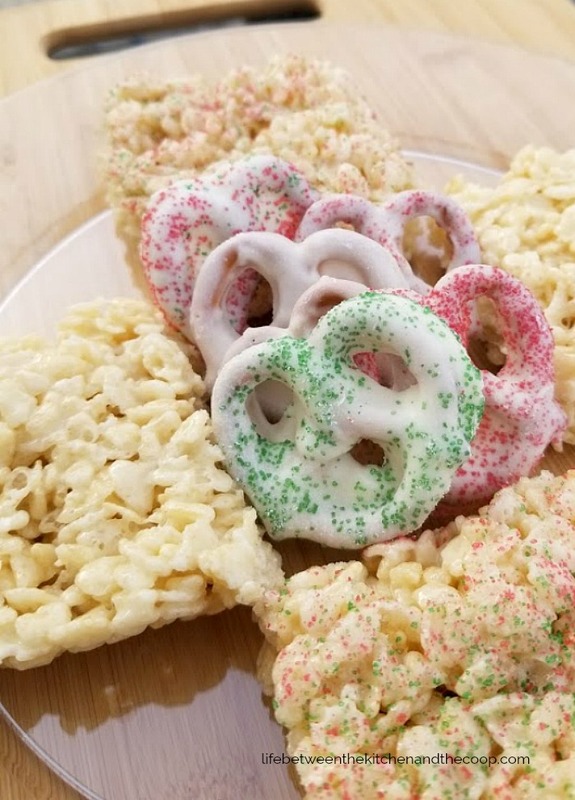 This is even one of my Christmas recipes that I use when I make treats for neighbors! As I mentioned, I am very particular about my rice krispie treats. A bit of a rice krispie treat purist, if you will. That is why you MUST try this recipe! 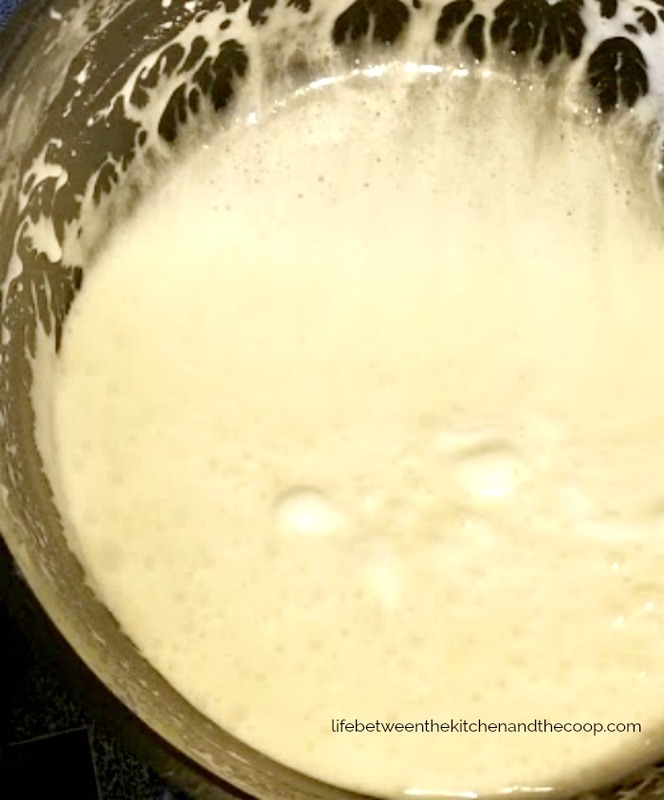 First, melt the butter in a large pot over medium heat. 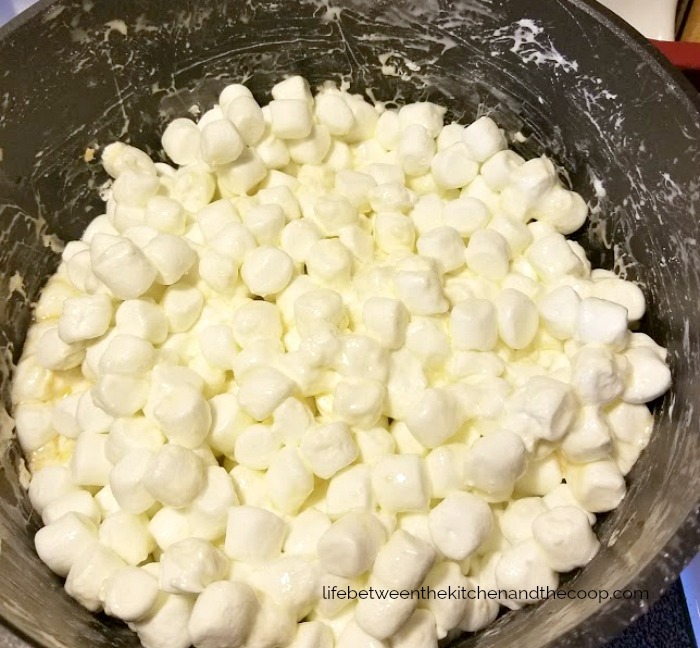 Then add the vanilla and mini-marshmallows. Melt the marshmallows, stirring frequently. 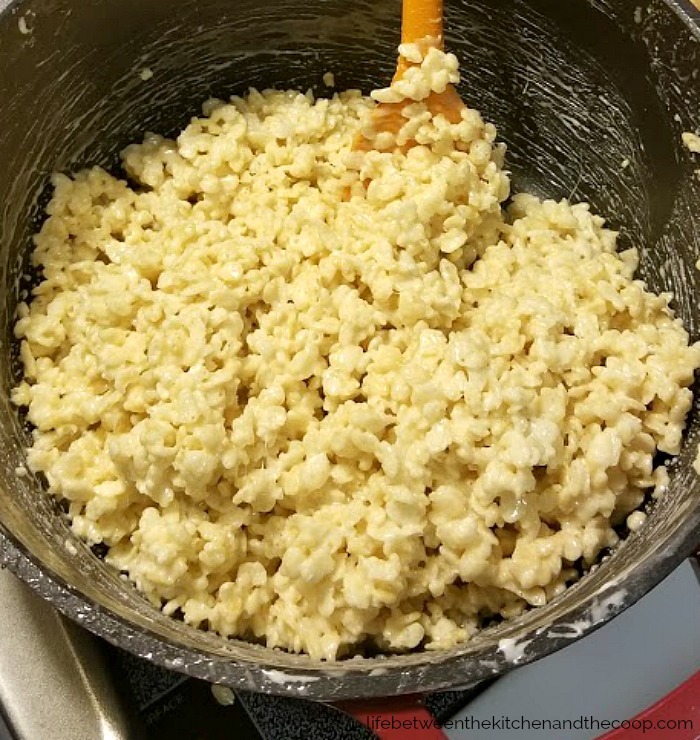 Remove the pot from heat and stir in the rice krispie cereal using a large spoon that has been sprayed with cooking spray to reduce sticking. 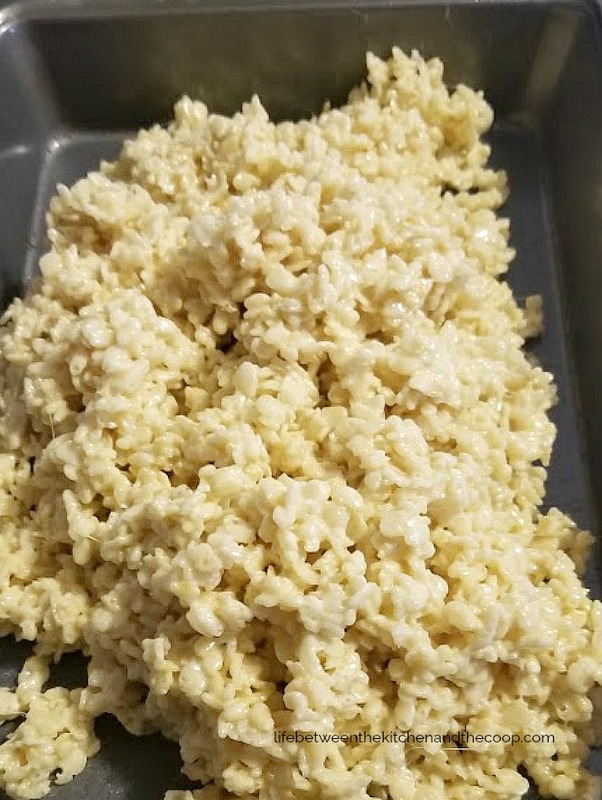 Prepare a 9 x 13 inch baking pan with cooking spray, then dump the rice krispie mixture into the pan. If it is Christmas or Easter, I sometimes will sprinkle a little colored sugar on for decoration (see large image at the bottom of this post), but most of the time I don’t. Like I said, I am a rice krispie treat purist! Let the treats set for an hour or so, then slice them into squares (HINT: If you want thicker squares, use a smaller pan. I tend to make thinner ones in a large pan because they disappear to fast as it is!). Okay, now that you know how to make the perfect rice krispie treat, tell your friends! 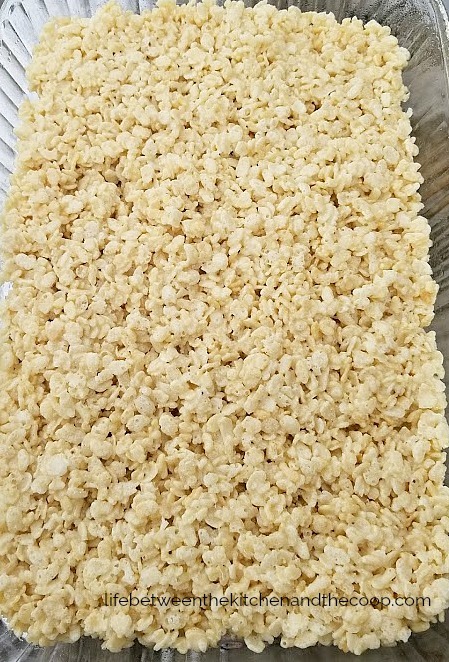 Let the rice krispie treats set for an hour or so, then slice them into squares (HINT: If you want thicker squares, use a smaller pan. I tend to make thinner ones in a large pan because they disappear to fast as it is!). Enjoy your rice krispie treats! You won’t want to use any other recipe again!